In January, everyone seems to go a little overboard trying to lose as much weight and save as much money as they can. While getting fit physically and financially are great ideas, setting a long-term goal with milestones can help get you past the February slump. This year, I’m using a modified version of the 52 Week Savings Challenge to help me reach my financial goals. If I save the bare minimum, I’ll have $1,378 in my new savings jar and you can too! 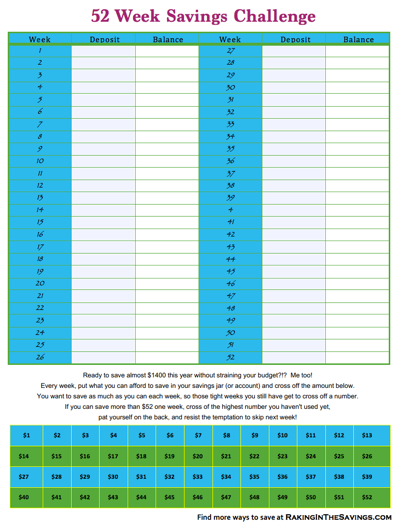 Each month, I’m going to repost the Free 52 Week Savings Challenge Printable below and show you a few ways to reach your savings goal for the month. This month I want to go over the rules really quick, just so that everybody understands how this works. Our 52-week money-saving challenge works a little different than the others because of instead of saving one dollar the first week, two dollars the second week, or doing the reverse and saving $52 the first week, and $51 the second week, you get to save the amount that you have available to save. If you have five dollars to save one week and $2 the next that’s okay. The important part is developing the habit of putting something into your savings every week. Each week on the chart, there’s a spot to put a deposit so just write down whatever amount you were able to save this week. You will also write in your balance so you can keep track of your total so far. If you save each amount once, you’ll have saved $1378 in just 52 weeks! Post your challenge wherever you want in your house. Some people like to put in a jar, some people put it in a frame, attached to the front of the fridge, hanging up in your office, etc. Just put it somewhere where you going to see it and remember to put money into your savings every week. After you make a deposit into your savings account or your savings jar, you’re going to cross off the amount that you deposited on the chart at the bottom of your sheet. The goal is to save at LEAST each of these amounts one time. If you never save less than $5 a week, that is fine! You can always save MORE! 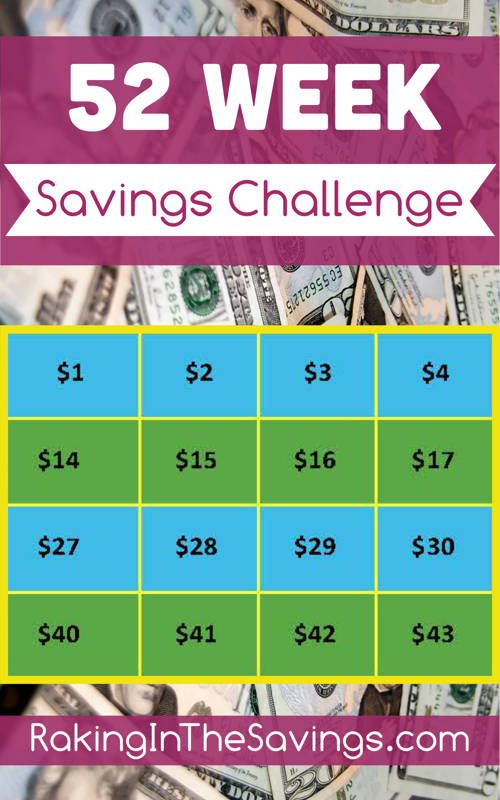 So, print yours today and leave a comment below to let me know you’re joining me on this savings challenge! Use your store match-ups to find the best prices on the things you need at the stores near you! Check for new coupons and print the ones your family will use! 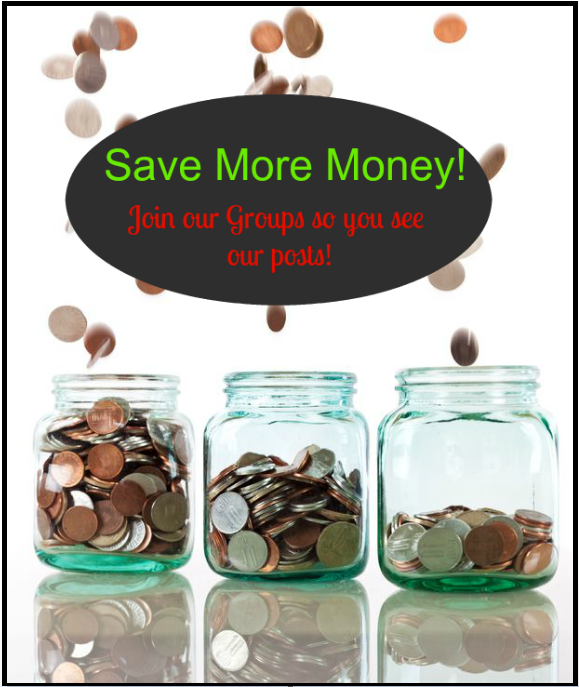 Match your printable coupons with digital coupons to maximize your savings! Check for new freebies every day & stop paying for things you can get for free! Use the Amazon deal finder to get the best price on the things you need to buy! I love this – thank you. Doing it! Previous article: Today is Fresh Friday at Yoke’s! It’s the Big Cereal and Breakfast Sale! Next article: Starting 1/12: General Mills Cereal As Low As $0.45 A Box A Target!! !